Tip $75 and get Two 45-min Skype lessons with Frank or Allie! Jim Moser: That's a great looking banjo. Mtndawg: Sounds like it's good training for your trip to chicaog! Jondis bought reward: "the previous rewards AND an exclusive live performance video (Olathe, Kansas 2018)!" atleson: what was the key of the last tune? So much fun. You guys are terrific. Jim Moser: Pretty funny, Allie. Jim Moser: Wasn't that on your Homespun dvd? Jim Moser: Greatest banjo dvd ever! Banjofiddler bought reward: "4 tracks from GOURD HEAD!" Jondis: Is that Frank Lee Old Banjo training Disc more for advanced players? or can it take you from beginner? Jim Moser: The tab isn't too hard for a beginner and the advanced players will love the techniques Frank teaches. d2b: If you like Jean Ritchie's music, read her book titled "Singing Family of the Cumberlands"! Her storytelling was as good as her music. d2b: On second thought. I'd like to have that cat. Mtndawg: wish they were more photogenic! bought reward: "Live at Brashler Barn album download!" SidGilchrist: Wish you would come to Nashville, Tn. bought reward: "the previous rewards AND an exclusive live performance video (Olathe, Kansas 2018)!" ghostofhoward bought reward: "4 tracks from GOURD HEAD!" atleson: awesome musicianship. So impressed with how you go from instrument to instrument, from style to style. d2b: Love this one! What album is it on...or at least where can I get a airplay copy for Nevada City Limits on KVMR??? ghostofhoward: loved listening tonight guys! Jondis: Encore????? ? Crowd goes wild!!!! Jim Moser bought reward: "The Freight Hoppers Live at Grass Valley recordings!" d2b bought reward: "4 tracks from GOURD HEAD!" atleson: and---I think I saw Frank smile during the show, but maybe I'm wrong. I did see him smile, though, some years ago at Augusta. I guess Allie is responsible for smiling. Fine show guys. d2b: Hey, I already have the whole album. Got it about 3 weeks ago. frank-lee-and-allie-burbrink: Thanks everyone for coming! If you chose to tip, thank you so much, and be sure to send us or Concert Window your email address so we can send you your Tip Reward. Banjofiddler: Thank you for a good show; nice to see ya! d2b: Thanks for a great show! so cool to see frank fiddle! That was a lot of fun last night. Thanks! 4 tracks from GOURD HEAD! Live at Brashler Barn album download! 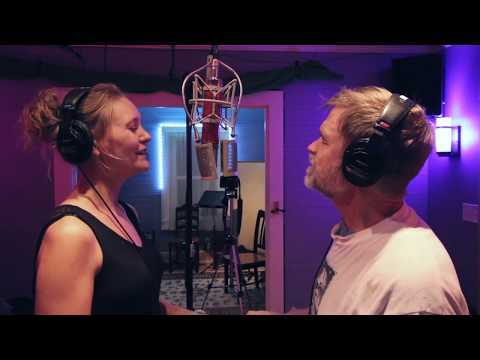 The Freight Hoppers Live at Grass Valley recordings! The previous rewards AND an exclusive live performance video (Olathe, Kansas 2018)! Two 45-min Skype lessons with Frank or Allie! 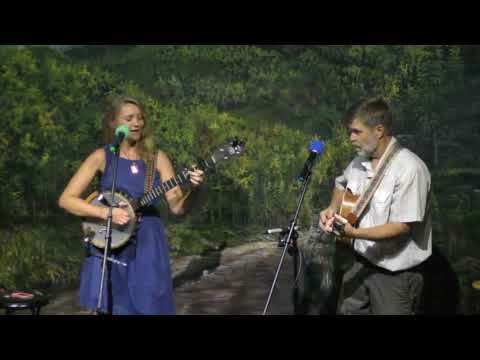 Frank and Allie Lee (Bryson City, NC) are a harmony-powered old time duo. Their April 2018 release, Roll On, Clouds, showcases their favorite songs from over two years of performing together. These pieces range from blues tradition (“Somebody On Your Bond,” “Roll and Tumble”) to bluegrass classics (“Standing on a Mountain,” “Cabin on a Hill”), yet remain rooted in the old time aesthetic. Frank’s nylon string fretless banjo is the dominant instrument, with guitar, slide guitar, and Allie’s banjo and harmonica adding to the musical texture. 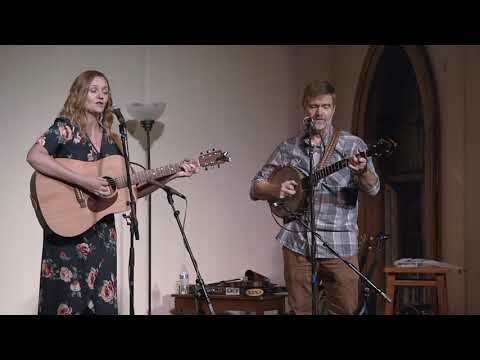 Frank and Allie, core duo of longstanding string band The Freight Hoppers, have traveled extensively as touring musicians. Frank, a founding member of The Freight Hoppers, has impressed audiences all over the United States, Canada, and northern Europe with his signature clawhammer sound. Allie is a founding member of The Whipstitch Sallies, a band from Indiana that toured in the Midwest, North Carolina, Colorado, and Hawaii. Together, the pair is a powerhouse duo with appearances planned across the country, and they toured France for two weeks in May 2018. In addition to performing, Frank and Allie screen print music-themed t-shirts, available on their website. They also organize an old time music retreat in the Great Smoky Mountains in the spring called the Banjo-Fiddle Frolic. Roll On, Clouds is available at www.frankandallie.com, as well as CD Baby, iTunes, & Spotify.